Imagine gazing out the window of a luxurious steam train as it travels across the raging waters of roaring waterfalls, the mist rising from below and settling in droplets of water on the windows. 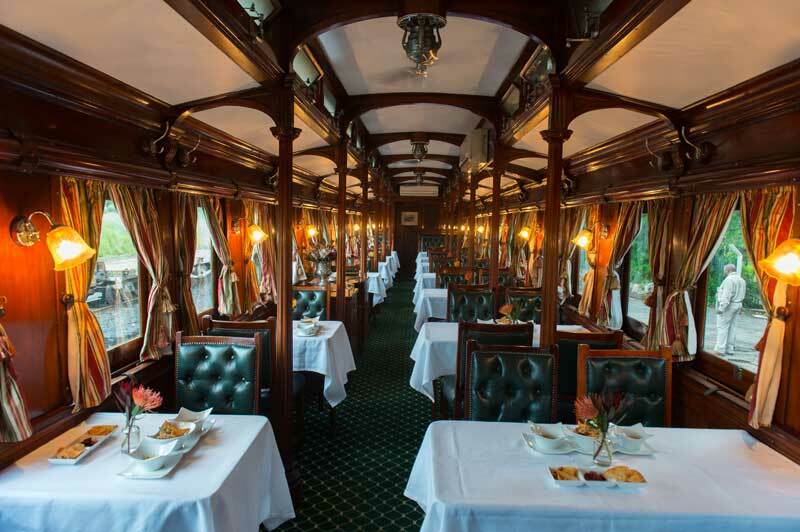 Discover Victoria Falls from a different angle with Bushtracks Express a luxurious steam train encapsulated in an air of romance and beauty of a bygone era, harmoniously paired with modern comfort and cuisine. 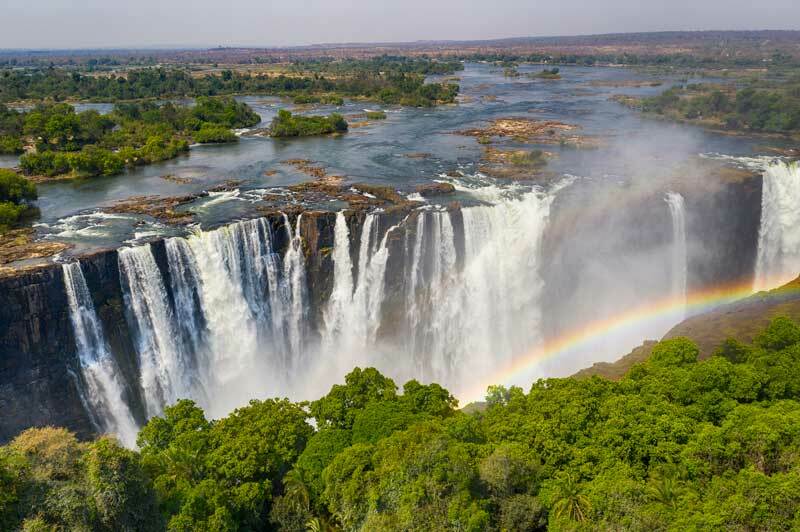 Known as The Smoke that Thunders, Victoria Falls is a waterfall in southern Africa on the Zambezi River at the border between Zambia and Zimbabwe. While it is neither the highest nor the widest waterfall in the world, Victoria Falls is classified as the largest. The impressive falls, based on its combined width of 1,708 metres and height of 108 metres, makes it the world's largest sheet of falling water. Victoria Falls is roughly twice the height of North America's Niagara Falls and well over twice the width of Niagara’s Horseshoe Falls. In height and width Victoria Falls is rivalled only by Argentina and Brazil's Iguazu Falls. While most people experience the waterfalls via foot, flight or boat, there is a more unique and memorable way to get up close and personal with the mighty Victoria Falls. Bushtracks Express does just that. 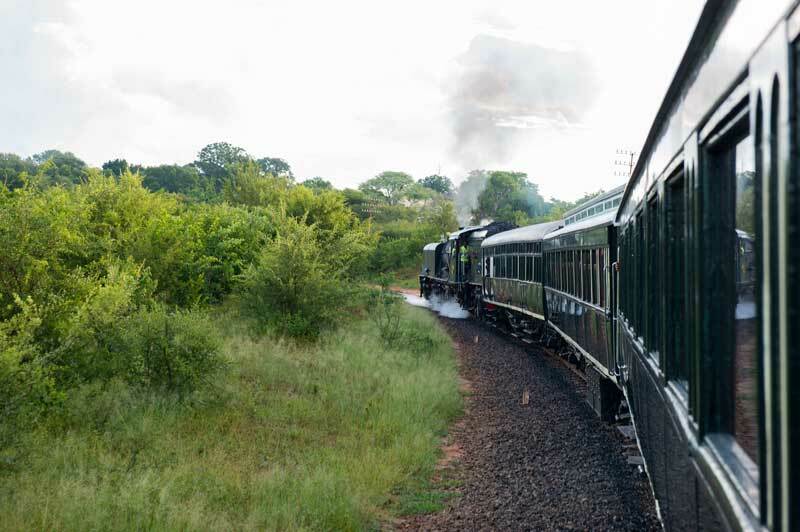 A historical steam train, it is a haven of old-world charm and stylish splendour is unsurpassed in its unrivalled service and serenity, as it takes passengers on a four-hour journey that uncovers some of the most beautiful components of Africa. Departing from the Victoria Falls Station, the train steams onto the iconic Victoria Falls bridge, revealing the world-famous Victoria Falls at sunset. Guests alight onto the bridge for sundowners whilst gazing into the cavernous gorge which displays a rough wild beauty that, when bathed in the golden glow of a descending sun, is truly enchanting. Gazing out over the falls, a cloud of mist from the waterfall looms large on the horizon and the gentle roar of the cascading Zambezi creates an ideal and romantic ambience. The journey then continues to the Jafuta conservancy siding in Zimbabwe, a space of unspoiled natural African wilderness, bordered by a backdrop of indigenous trees with the chance of spotting some of Africa’s iconic wildlife. 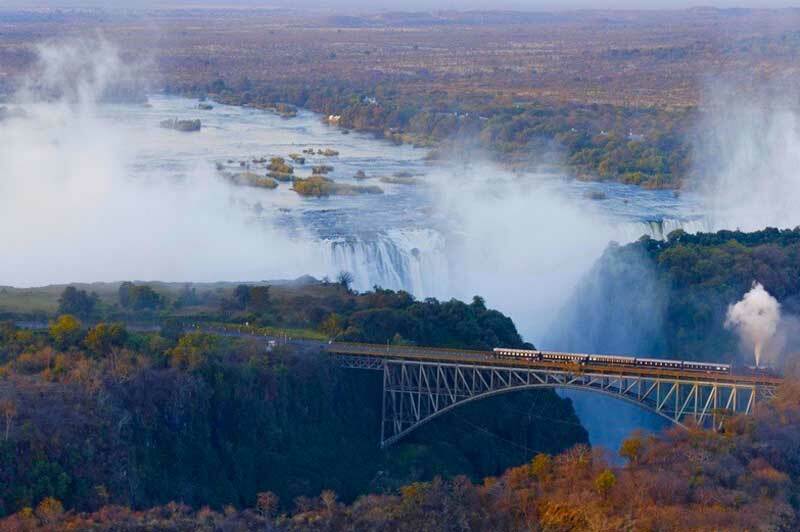 Beyond Victoria Falls, the train trip is designed to accentuate the raw beauty of the surroundings. 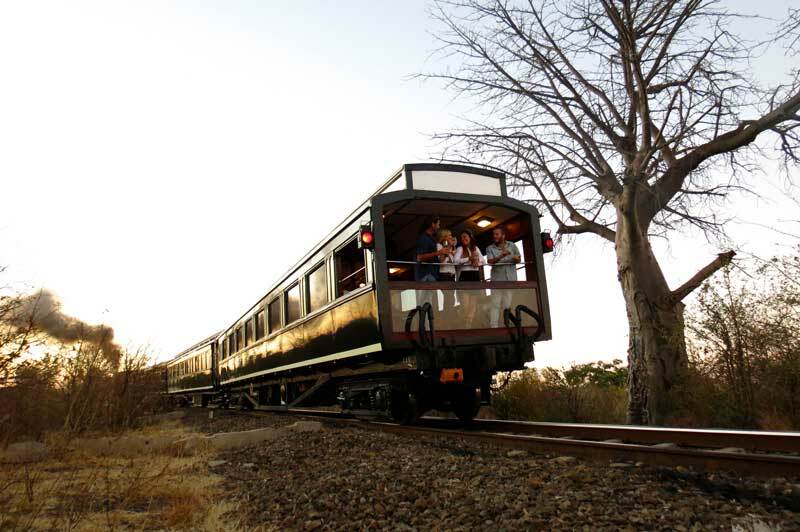 Just as memorable as the scenery outside the train, the fine-dining experience of divine food, fine wines and exquisite plating in some of Africa’s most breath-taking locations is second to none. Prepared by the chefs of the Victoria Falls Hotel, the dishes are an art form complemented by a natural canvas that emphasise the delicate flavours making this trip into history a sublime sensory adventure. From the experiences inside and outside of the Bushtracks Express, this is a train journey that will leave an imprint on your soul, with memories that will live on long past your return home. Speak to one of our experienced travel advisers to discover a luxury experience to Victoria Falls and South Africa. Kate Webster is a travel journalist who is passionate about conservation, Africa and the ocean. Born out of a life-long love of travel and fascination with the world around her, is Kate’s inspiration behind her writing and photography. When she’s not bouncing around the world on ramshackle buses, overcrowded trains, or on the back of a rickshaw, you can find her based in the Gold Coast, Australia eagerly planning her next adventure.